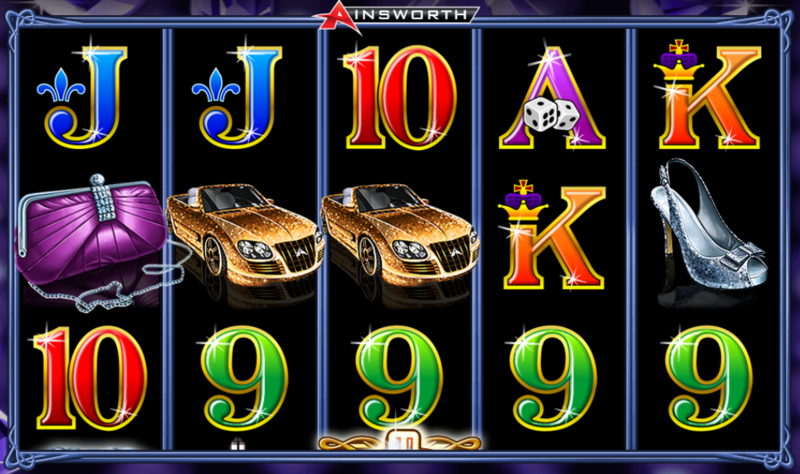 If you play this Ainsworth Gaming slot called Crystal Cash long enough, you would end up with lots of riches. Maybe that is why the game is designed in a way that the themes and the symbols all serve to remind you of those riches. This is a luxury-themed slot which has 5 reels and 100 paylines, with 3 rows in each reel. Every aspect of this slot game has the feel of luxury and richness to it. We will explain the symbols and bonuses later. But for now, it is interesting to note that this game gives you a chance of winning both free spins and handsome money. Most games offer either one of these two. You might find the graphics of some other games better, and we agree too. This game can be played on all devices including your smartphone. Let us dive into the gameplay details now. The RTP of this game is not the best in class, for sure. At 94.06%, you can surely find other games which offer better returns. But the game is a lot of good fun and the bonus rounds are quite interesting. You can play within a coin range of 0.01 and 0.75, which gives scope to beginners as well as heavy rollers. Some players do feel, though, that the maximum bet could have been increased. Apart from the regular wins, you can enjoy the free spins, multipliers, and Wilds. The game is now more than 3 years old, so you can expect some modifications and improvements based on player feedback. The symbols reflect the general look and feel of the game and present a feel of luxury. A bunch of glittering white and violet crystals forms the backdrop for the game. The standard symbols which most other games use are present of course. But they carry lower values. These symbols are the card symbols of 9, 10, J, Q, and A. But the really attractive and valuable ones are different. These symbols are gold plated cars, shoes encrusted with diamonds, perfume bottles, watches, and handbags. Then there are the special symbols which lead to bigger things. A diamond filled dollar sign is the Wild symbol in this game. This symbol gets stacked only on the last 3 reels of the row. The wild symbol can be used to substitute any other symbol to create a winning combination, except for the scatter symbol. A blue colored diamond forms the Scatter symbol in this game. There are many me-too luxurious life slot games. 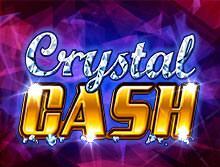 But the symbols in this game go towards making Crystal Cash different from the others. For example, the purple color of the clutch gives a regal feel. The perfume bottles are not your standard fare but vintage Eau de Parfum containers. Overall, the developers have put in enough detail to give this game a rich look. The free spins feature is quite lucrative, compared to other similar games. The glittering blue diamond in the shape of a heart is the Scatter symbol for Crystal Cash. The free spins are triggered by this Scatter symbol. You should get 3 or more Scatters to begin your free spins feature. When the free spins feature is on, you can get a multiplier of either 2 or 3 times your wager amount. So the highest theoretical return for you would be 9x if you get 3 Wilds stacked, and also a 3x multiplier on each. A unique feature of the free spins is that your probability of greater wins is increased. This is done by removing all the low payout card symbols (9 to Ace). This leaves only the higher paying symbols for you to play on. Also, during the free spins option, the wins are quite regular, though moderate in size. This is probably because of the reduced number of symbols during the free spin phase. Also, the values of the remaining symbols are higher, making the wins more lucrative. There is also an interesting playing card gamble feature in this game. You only need to guess the possible color of the card – red or black. The basic reward for the correct guess is 2x of wager amount, and the multiplier could be in higher numbers as well. This is an unassuming game which doesn’t have too many layers or complications. The free spins are the only variants to the game and most players like this simple storyboard. It has a decidedly rich look and offers plenty of opportunities to get rich. We would recommend it strongly if you haven’t played it yet.